Welcome to the Beyond Heroes web page, a site to dedicated to heroes of all ages from the mythological to superhuman. Inside you will find resources for heroic roleplaying of all eras including fantasy, pulp, modern and future with my own magic system and dimensions. 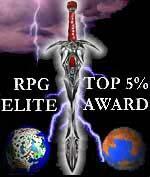 All articles within maybe used with any RPG system. Providing to the community since 2001. Click on any of the links below to go to the desired section. Beyond Heroes Downloads Section Downloadable pdf copies of everything in this site. Advantages Rules for adding physical, social, intellectual, superhuman, magical or other enhancements to a character. Alien Devices Rules for deciphering and using alien equipment, including artifacts. Alien Races A guide to 138 alien races for your invasion pleasure. Alignments A more detailed reinterpretation of alignments. Allies A guide to 7 groups to help your players, including the Femforce®. Alternate Worlds Rules for creating your own parallel earths and travelling to them. Aquatic A guide to all things aquatic including but not limited to; Races, Classes, Ocean Cities, Water Magic, Water Powers, Sea Encounters, Aquatic Terrain and the effects of water on combat. Artifacts A guide to objects supernatural and alien, wondrous and horrifying, powerful and deadly. Atlantis Long ago Atlantis was the prominent power on earth. However, like all empires, it eventually slipped into decadence. With even part of the island being allowed to revert to wilderness. Attributes A guide to how attributes work and how much they cost. A generic city for your superheroes to play in with 85 different locations. A guide to Mythological monsters for any era or setting. Including Dragons, Elementals, Monsters, Mythical Animals, Undead and the Zodiac. Rules for determining which country was your character born in. Rules for creating and modifying your own super gadgets. A summary of the various campaigns I ran over the years. A guide to 79 special cities on the Beyond Heroes earth, and some off of it. Civilians in Combat Rules for what happens when civilians get caught up in battles and riots. Classes A guide to the various character classes available from the following eras; Ancient (68), Cosmic (6), and Modern (147). Also includes a Master Class list. Combat, Mental Information on Psychic Agility, Psychic Armour Class, Mental Points, and rules for mental and psychic combat. Combat, Physical An explanation of Thac0, AC and all the features of physical combat. Combat, Starships With both board and cinematic rules. Corporations Guide A guide to creating and running your own corporations. Cosmic Beings A guide to deities from the Beyond Heroes, DCU and Marvel universes. The Cosmic Creation Sourcebook Often ripped off but never matched; rules for generating your own Dimensions, Galaxies, Star Systems, Worlds, Life forms and Civilizations. Creating a Character A complete guide to creating a character in my universe. Creating Magic Items Tables for rolling up random common magic items. Critical Tables Rules for Critical Hits, Fumbles and Catastrophic tables in combat. Cursed Items A guide to how cursed items work and how to make your own. The Cyberscape A guide to the Cyberscape, the Cybernet and net combat. Frequently mentioned but never properly explained until now. A guide to everything involving the D'arque including its history, followers and what it is. Dimensions A guide to 48 subdimensions and 343 alternate dimensions. Includes timetravel rules. Disadvantages Rules for adding physical, social, intellectual, superhuman, magical or other adverse effects to a character. Dispositions and Motivations Rules for determining the character's philosophy of life, likes, dislikes, and general attitude to the world and the people around him. Enemies A guide to 39 despicable groups to torment your players. The Equipment Locker Various guides to equipment and weapons from various eras. Eras Detailed guides to each of the following eras; Atlantis, Ancient Rome, the Pulp 20s and 30s, Modern, Post Apocalyptic and the Future. Experience Points Rules for experience point usage for both Heroes and Villains. 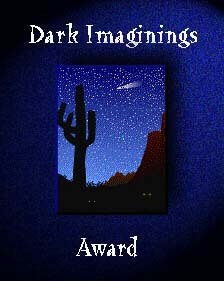 Fiction Something I wrote long ago for a contest. Fright Tables Rules for Fear and Terror and a list of most phobias. Tables for rolling up your own random gateways to other dimensions. The GM's Guide Various guides on running a campaign along with some quick role tables. The Grimmoire A guide to 1817 spells divided into 36 different schools of magic. A Guide to Superhero RPGs A list of various superhero roleplaying games produced by different companies. The Hangar Bay Examples of 12 different space vehicle types and 44 different ships. Headquarters Creation Guide Rules for creating outfitting your own superhero or villain headquarters. Heroic Names A table for creating your own names. Heroic Women A list of various heroic women from around the world. History of the Heroes World A massive timeline of Heroes through the ages, starting from the beginning of time through to the end. Divided into 10 eras. Intelligence Agencies Intelligence Agencies from 32 different countries. Kaiju Creation Rules Rules for creating your own giant monsters. Life Path and Physical Characteristics Rules for adding more background with money and family, and for determining your character's height, weight, musculature and blood type. Magic A netbook guide to playing magical characters including; an explanation of how magic works, a list of all magical classes, a guide to magical locations on earth, a guide to magical dimensions, magical monsters, mystical entities and NPCs. Maps An index guide to all my maps of the earth, space and other dimensions. Martial Arts A guide to 54 Martial Art Forms, special abilities and combat manoeuvres. Mining Rules on the extraction and quality of minerals. Mystical Materials Descriptions and costs for normal, fantasy and far future materials. A guide to all things nature including; Ecosystems, Plants, Races, Bestiary, Fairy Paths, Classes, Organizations, Magic and Powers. Stats for average NPCs of all types and eras. Your character just died, but all is not yet lost..
A guide to the damage and effects of nukes. A layman's guide to the universe and what we know about the stars and planets. House rules, adaptations, revisions, and fixes to the Palladium rules system. This covers mainly Heroes Unlimited but does include other genres. Rules for creating your own faith. A guide to deities from 31 different pantheons. Poisons A guide to poisons and their effects. A guide to 514 powers broken down into the categories of; Alteration, Defensive, Mental Enhancement, Offensive, Physical Enhancement, Travel, and Cosmic. Pulp Agencies A guide to the various Allied and Nazi agencies. Races A guide to all the races on Earth, ranging from land based to undersea to subterranean. Sight/Audio Ranges Tables on how far people can see and hear. Skills A guide to 416 abilities based on the character's attributes and categorized by era. The Sky A guide to all things aerial including; Races, Atmospheric Content, Levels, Weather, Classes, Flight, Air Combat, Magic and Powers. Skyships A guide to all types of skyships from skimmers to transports to warships. Space Travel Covering zero-g, acceleration, hazards and the vacuum of space. Starship Construction Guide Equipment and rules for creating your own spacecraft and starships. Superhero Gadgets A guide to various hi-tech gadgets used by superheroes and villains. Superscience A netbook guide to playing hitech characters and all matters related to super science. Swamps A subsection of the nature sourcebook, concentrating specifically on swamps including their races and bestiary. Third Parties A guide to neutral groups to either aid or hinder your players. Totems Spirit guides from 8 different animal species. Travel Rules for and land and water movement. The Underground A guide to all things subterranean including but not limited to; Races, Underground Cities, Natural and Unnatural Underground Locales, Underground Waterways, Hazards of the Underground, Mining, Plants and Fungi, Animal Life, Diseases, Magic, and Organizations. The Underworld and Terrorists A guide to 11 major Criminal Organisations and 28 Terrorist groups from around the world. Vehicle Creation Fantasy Rules for creating your own ancient era air, land and sea vehicles. Vehicle Creation Modern Rules for creating your own normal and superhero style air, land and sea vehicles (including mechs). Vehicle Guide Ancient Examples of 40 different ancient vehicle types. Vehicle Guide Modern Examples of 128 different modern vehicle types. What you would find in a Super Villain's Lair Your archenemy lies defeated or has fled. Now what did he leave behind? "You have a very nice web site, excellent design, beautiful graphics, and your content is informative, entertaining, presented well and easy to access. A worthy enterprise and a positive contribution to the Web. 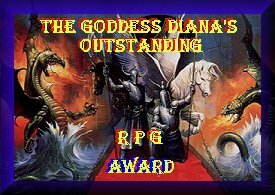 This site has been given Effie Rover's GOLD WYRM RPG Web Site Award for its development with an RPG audience in mind, excellent design, good presentation and ease of access. Content is considered to be original, useful, grammatically correct and visually appealing. Your site has been rated a Must-See site by Effie Rover's panel of judges." This is meant as an amateur fan site. Absolutely no money is generated from it. Except where stated below all material on this site is © Copyright 2018 Marco Ferraro. Material may be copied so long as proper credit is given to me. Use of the names Wizards of the Coast, Dungeons and Dragons, D&D, 3E, D20 or any other copyrighted or trademarked names or materials is not intended as a challenge to the copyright owner in any way. No challenge to those copyrights or trademarks is intended by their use on this website. WIZARDS OF THE COAST®, Dungeons & Dragons®, D&D®, and the D20 System® are registered trademarks of Wizards of the Coast, Inc. The Open Gaming License© is owned by Wizards of the Coast, Inc. Beyond Heroes has no affiliation with Wizards of the Coast®, the D20 System®, the Open Gaming License©, or the Open Gaming Foundation®. All Marvel characters and the distinctive likeness(es) thereof are Trademarks & Copyright © 1941-2018 Marvel Characters, Inc. ALL RIGHTS RESERVED. All DC Comics characters and the distinctive likeness(es) thereof are Trademarks & Copyright © 1935-2018 DC Comics, Inc. ALL RIGHTS RESERVED. All Amalgam Comics characters and the distinctive likeness(es) thereof are Trademarks & Copyright © 1996-1997 DC Comics, Inc. and Marvel Characters, Inc. ALL RIGHTS RESERVED. Toho is the owner of all copyrights and trademarks in its respective Godzilla films and characters, and all of its rights are expressly reserved. © 1943-2017 Toho Co. Ltd. and its related entities. STAR TREK and related marks are trademarks of CBS Studios Inc. TM & © 2018 CBS Studios Inc. All Rights Reserved. Macross, Macross Plus and Macross 7 are all registered trademarks owned and licensed by Big West/Bandai. Copyright © 1994-2017 Big West & licensees/Egan Loo. All rights reserved.